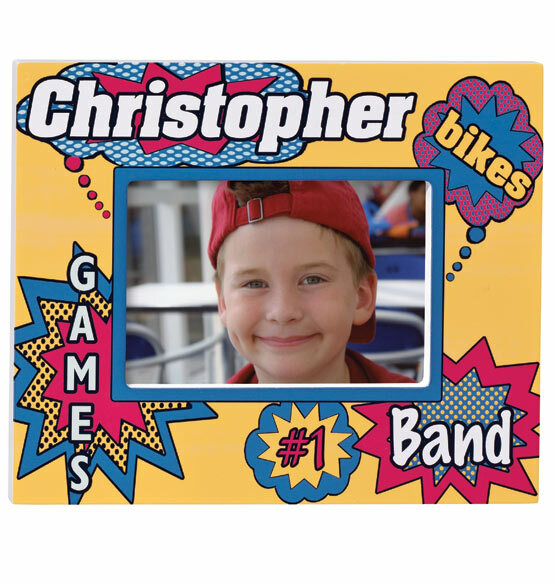 Let your superhero-in-training star in his or her own comic book page with this personalized comic book frame. Inspired by the bold pop art style, it features the person’s name plus three personalized words. Call out their favorite activities, traits and more. The unisex styling makes this frame a great gift for girls or boys, young or old. Perfect for comic book fans and anyone who appreciates pop art.